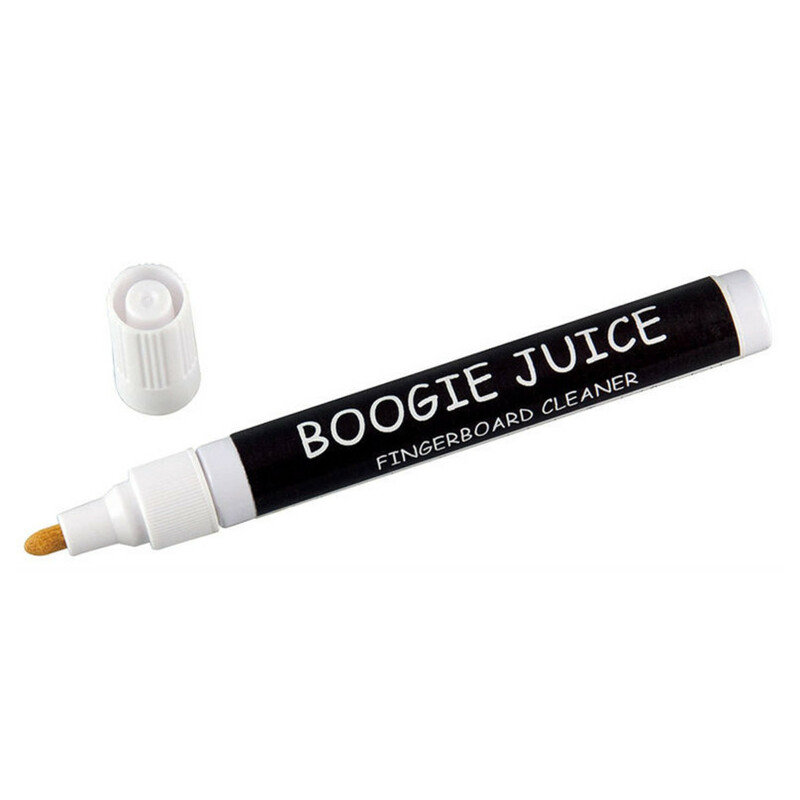 The Boogie Juice Fingerboard Cleaner is an all natural cleaning product that was specifically designed to take care of instrument fingerboards. The patented dispensing system lets Boogie Juice effectively remove dirt and oily build up from the fingerboard of your instrument. Cleaning and maintaining the condition of your fingerboard helps your instrument retain its tone so it can look great and sound great. Boogie Juice should be used like a felt pen. It has a tip operated valve and to start cleaning, just hold it upright and press the tip into the fingerboard about 10-12 times. Ff more liquid is required then just press down a few more times. It is recommended that you Boogie Juice to clean your fingerboard when changing strings on your guitar. This is because it will be easier to regularly remove more dirt and oily build up without the risk of damaging your strings.